Art publisher B. Eric Rhoads (Fine Art Connoisseur, Fine Art Today, PleinAir, PleinAir Today) coaches artists on how to grow their art careers. Today, art competitions are all the rage. Yet many artists still ignore them, thinking they're a waste of time. Competitions are tools you can use to build income and career, kind of like selling your painting more than once -- only ethically! More important, if you become a winner, entering a competition is the single most significant thing you can do to make your career soar quickly. Not only do art competitions give you a chance to win prize money (which is like getting paid twice for a painting, if it's already been sold), it gives you visibility -- which is great for your branding to potential galleries, collectors, and other artists. People love to associate with winners. Even if you're not the grand prize winner, just by being a finalist, you're in the category of winners. And if you enter a painting that sold, let's say, for $2,500, and you win $15,000, it's like selling six more paintings -- plus you don't have to share the revenue with your gallery. One gallery owner told me, "I find artists by watching who is winning competitions. I also learn of new artists when I'm judging competitions, and I watch who is advertising." What are the benefits to entering an art competition? Before you enter, study the judge. If, for instance, the judge is a gallery owner, what kind of art hangs in their gallery? Chances are they will pick the kind of thing they like and respect. If it's an artist who paints tight, they probably will pick tight paintings. If it's an artist who paints loose, they may tend to pick looser paintings. Though everyone tries to remain objective, we all tend to have a style we prefer and are drawn to. Many artists will enter the same painting every month in the same competition. One artist told me he entered a painting one month and didn't win, but the next month he entered the same painting, and that time he won. What one judge doesn't like, another may love. Most competitions allow you to enter as many paintings as you want. The entry fee usually goes down after the first painting, so you can increase your odds of winning at a lower cost. And more paintings, of course, equals more of your paintings seen by a judge. In theory, if you enter five paintings, you have five times the chance of being noticed. 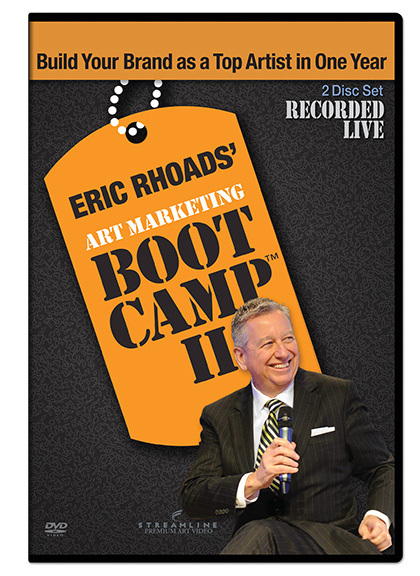 In my Art Marketing Boot Camp, I teach the value of repetition. Once when I was judging an art competition, I kept seeing paintings I liked, and as I studied them, I learned they were all by the same artist. Since I admired that consistency, I notified one of my editors, and the artist ended up with a story in one of our magazines. We've also had other judges discover new talent and tell us about them for stories. I have a saying: You can't win if you don't enter. I've had three different grand prize winners in our art competition tell me they never thought they had a chance to win against the big important painters who enter. All three said they almost didn't enter because of that -- but were glad they did! A judge told me once that even though he has signatures covered when judging shows, he can recognize the work of certain artists by their well known style. He said he likes to help undiscovered artists, so he tends to shy away from such familiar painters. Though not all judges do this, some do -- consciously or unconsciously -- which increases the chances for unknown painters. In our competition, the grand prize winners have seen their careers take off. Each was relatively unknown, or known only among certain groups. And as a result of winning, their stature has been elevated, and they've been invited to new shows, galleries, and events. I once judged a major art show and noticed the same painting had been entered in three different categories. Though that painting didn't win in two categories, several of the judges thought it was the best fit for one category in particular, and so that painting ended up a winner. You can gain a big advantage if you have a painting that fits in multiple categories. Some categories get lots of entries, but others get very few, increasing your odds even more. Art competitions are a great value, a great way to be measured against others -- which helps elevate quality overall -- and the best bargain going for publicity if you even become a finalist. I highly recommend them as a marketing tool, and a great way to elevate a career fast. A few bucks a month can result in a career that soars like a rocket when you win. PS: I should mention that the PleinAir Salon will soon be choosing the annual winners of a total of $21,000 in cash prizes, the cover of the magazine, and articles in the magazine and our weekly PleinAir Today newsletter. All finalists for the year in every category are entered in the final judging for the big prizes. The very last chance to win for the year ends on March 15, 2015 at midnight Pacific Time. You still have an excellent chance of winning the grand prize. Be sure to enter multiple paintings and categories. You can enter now at www.pleinairsalon.com. Winners will be announced at the Plein Air Convention in April. 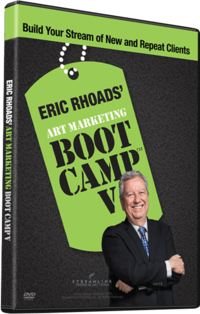 Receive art marketing tips and advice from Eric Rhoads.